Little Maomao’s father works in faraway places and comes home just once a year, for Chinese New Year. At first Maomao barely recognizes him, but before long the family is happily making sticky rice balls, listening to firecrackers, and watching the dragon dance in the streets below. Papa gets a haircut, makes repairs to the house, and hides a lucky coin for Maomao to find. Which she does! But all too soon it is time for Papa to go away again. 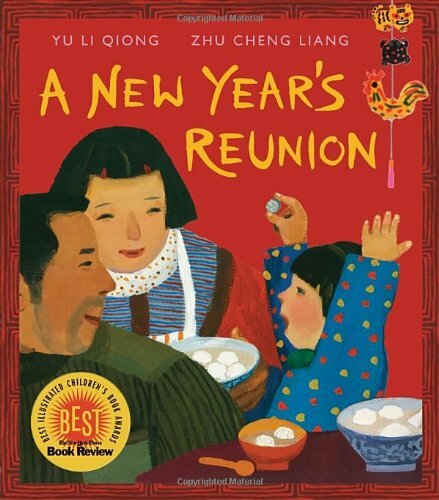 This poignant, vibrantly illustrated tale, which won the prestigious Feng Zikai Chinese Children’s Picture Book Award in 2009, is sure to resonate with every child who misses relatives when they are away–and shows how a family’s love is strong enough to endure over time and distance.